Cristoforo Scorpiniti is an artist who believes that good art should be visible at every time of the day. Artist Cristoforo Scorpiniti‘s paintings are captivating creations, both when the spotlight is shined on them and when it isn’t. 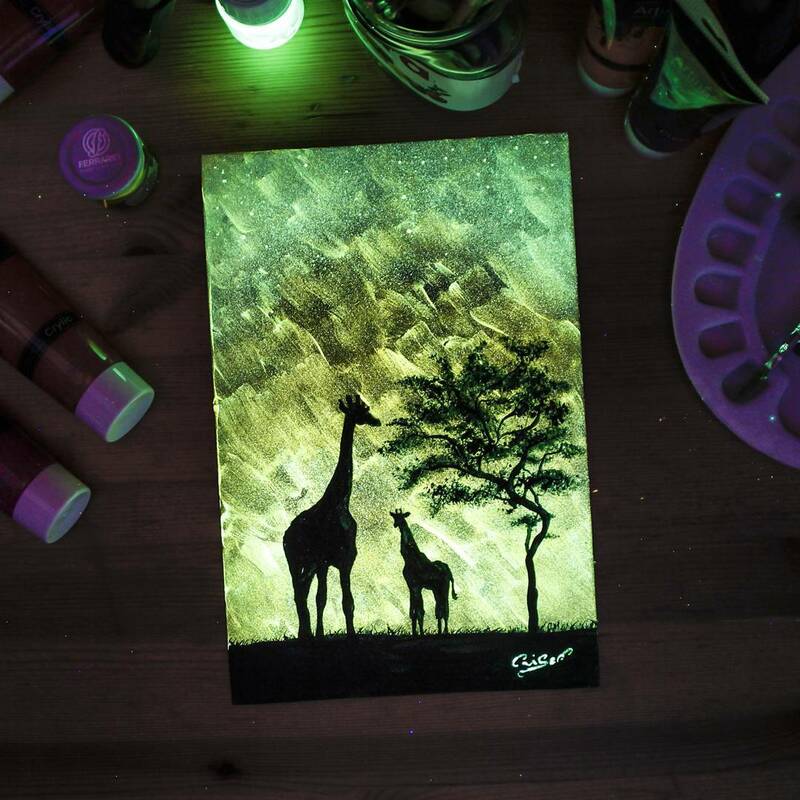 This is because the young artist makes clever use of glow-in-the-dark paint for his masterpieces, allowing them to radiate even when the lights are off. Mainly focusing on animals and dreamy landscapes as subject matter, Scorpiniti’s pieces incorporate dark silhouettes and abstract color combinations to form entrancing new worlds. The Italian real estate agent-turned-artist has found a niche with his nuanced portraits. 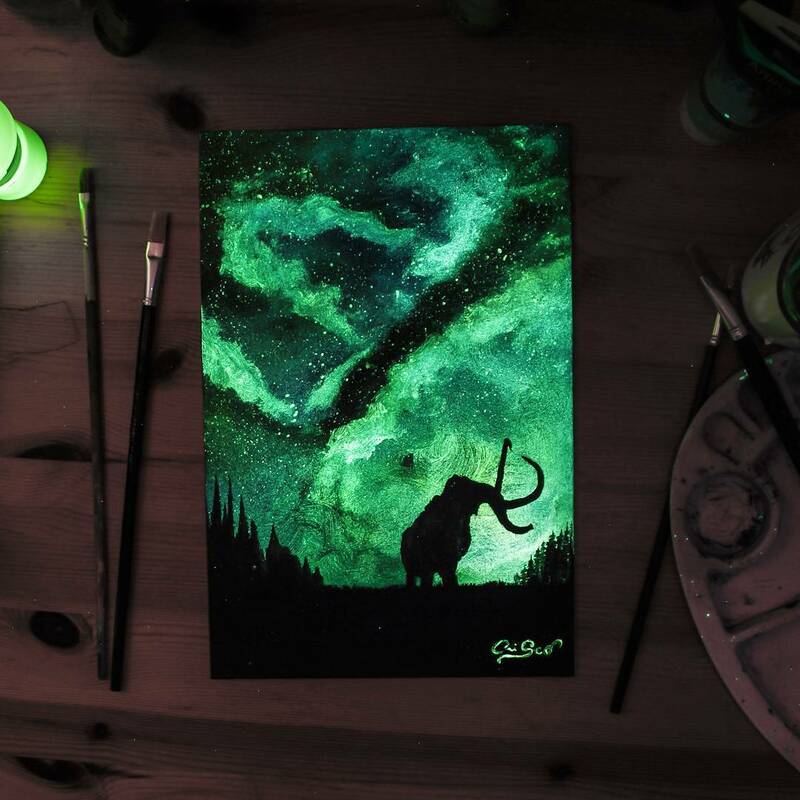 Bright and playful by day, they transform into darker dreamscapes when the lights go out. Capturing a certain symbolic sense of the duality between light and dark, day and night, his bewitching pieces have a double-edged appeal to them.